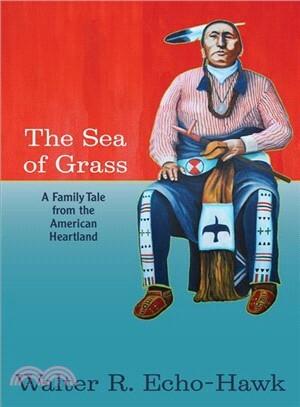 This historical fiction novel is inspired by real people and events that were shaped by the land, animals, and plants of the Central Plains and by the long sweep of indigenous history in the grasslands. Major events are presented from a Pawnee perspective to capture the outlook of the Echo-Hawk ancestors. The oral tradition from ten generations of Echo-Hawk's family tell the stories of the spiritual side of Native life, and give voice to the rich culture and cosmology of the Pawnee Nation. Author, attorney and legal scholar Walter Echo-Hawk (www.walterechohawk.com) is a Pawnee Indian who practices law in Oklahoma. He was the inaugural “Walter R. Echo-Hawk Distinguished Visiting Scholar” at Lewis & Clark Law School for 2015. He authored In The Light Of Justice: The Rise of Human Rights in Native America and the UN Declaration on the Rights of Indigenous Peoples (2013); In the Courts of the Conqueror: The 10 Worst Indian Law Cases Ever Decided (2010); and Battlefields and Burial Grounds (1994).